Last time I spoke about marinades, glazes and bastes, liquids which help you get your BBQ-ed food ready for serving. Today I want to talk about how to make your dishes served with style and charm, and for that we use flavoured oils and BBQ sauces. A flavoured oil is basically an olive oil which we “infuse”with a desired flavour. 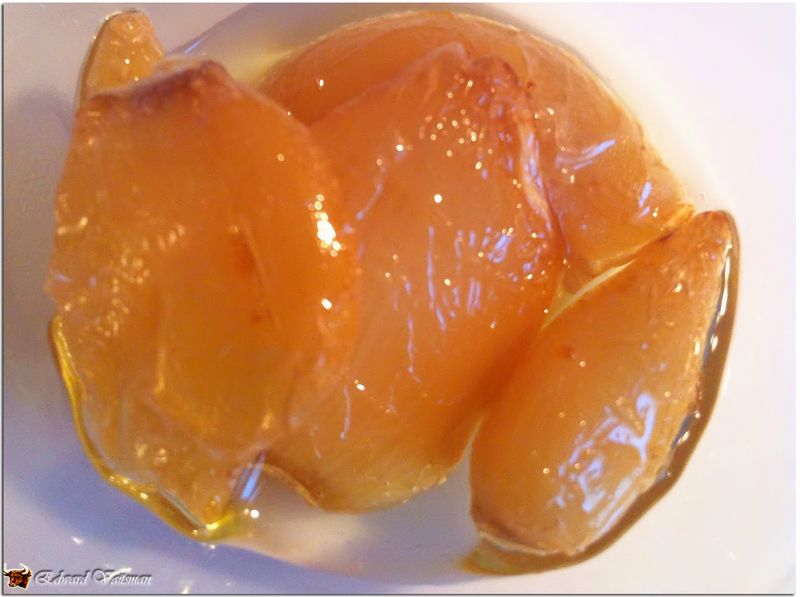 The simplest example to that would be a garlic confit, which is cooking garlic cloves in a lot of olive oil on a low heat. The garlic cloves become soft, tender and sweet, and the olive oil gets an aroma and a very gentle garlic taste. By the way, recently I started making the confit on my smoker, which adds to the bouquet the smokiness, making it really interesting and unusual. Combine all the ingredients in a blender or a food processor and puree until smooth. Then transfer to a jar and let stand in a room temperature for about 5-6 hours. Strain through a fine mesh and store in an airtight jar. It’ll last up to 2 weeks. The biggest charm of this oil, besides the aroma and the taste, is it’s beautiful green color. Ok, so, the next thing I wanted to share with you is my basic BBQ sauce I use pretty much everywhere and with any kind of grilled/smoked food. Also, it is a great basis for any improvisations you might think of. Initially it was apple juice based sauce, but I took it to a completely different direction, and now it is my basic pineapple BBQ sauce. All you need to do is to combine all these ingredients in a saucepan, bring to boil on a medium heat, stirring constantly, and then – reduce the heat to low and simmer for about half an hour, until the sauce thickens a bit and becomes syrupy. Then – remove from the heat, transfer to an airtight jar, and the sauce can be stored in the refrigerator for couple of months! This sauce is a basic one, and it demonstrates the technique used to make a good sauce. You can try and experiment with this, substituting, for example, the pineapple juice with apple or orange juice, or even espresso, to make it a coffee BBQ sauce. This entry was posted in Theory and tagged BBQ, garlic, oil, sauce, serving, spices, theory.